I really hope I don’t have to write a follow up to this post. Seriously. Because if I write a follow up that means my baby daughter or wife has been sick and I’ve had to find out how well medical cost sharing through Medi-Share works. Our family has officially signed up for coverage – my daughters coverage begun this month and my wife’s plan begins next month. So far this is what I know for sure – Medi-Share has really neat people working to help customers, my monthly expense is very manageable, and guidelines are clear and straightforward. What I don’t know for sure – is what the front desk of the doctor’s office will say, what the United States senate will decide, how much my bills will be negotiated, if a doctor can fix people from 1000 miles away, how strong the PHCS network is, and when my daughter is going to get an ear infection. Every single one of my communications with Medi-Share personnel has been a positive one. They are either the best fakers in the world or they really do care about the actual health of my family and not just the coverage (I’m pretty sure it’s the latter). Employees have even offered to pray for my family over the phone (Medi-Share is a Christian-based organization which may or may not make Medi-Share more attractive to you). Coverage for my daughter is $97 per month. When my wife officially transitions on to the plan, the total for both will be $240 per month. As a pair, they will have a $2500 annual household portion (synonymous to annual deductible). That’s not even in the same ballpark as $950 per month for them to join my employer-based plan that includes a $7000 annual deductible! We’re expecting her to meet the healthy discount requirements which lower the cost per month. They do this by a screening process that involves weight, blood pressure, eating norms, exercise habits, and overall wellness. Unfortunately, if she does qualify, that will justify her argument to me that it pays to eat gross things like avocados, carrots, and salad. Vaccinations are not covered. However, a staff person pointed out that shots are offered at no cost at local clinics for people who don’t have insurance (which technically my daughter won’t have). Wellness checks are covered for a child up to age six, but not for adults. Drugs prescribed by a doctor are covered for up to 6 months. Pregnancy expenses can be shared, as long as the mother had Medi-Share coverage at conception. Luckily, Medi-Share sends cards that look exactly like insurance cards included with contact information, policy number, etc. The first time we flash it, I think it’s going to feel like flashing a fake id (not that I would know that feels like! ), but the card itself feels and looks official enough to me. The insurance market is becoming less and less stable and in my case is becoming more and more expensive. I feel good about the timing of this change for my family. One of the major reasons I chose Medi-Share was that I didn’t want to negotiate in arenas where I was clueless. MediShare pledges to do this and I’m eager to see how bills change. One of the new features of Medi-Share is free access to doctors via webcam. I’m so intrigued that I almost convinced my wife to fake a rash with her make-up to see what Dr. Internet would say! Operating outside of the network means costs probably won’t be able to be shared for coverage, so finding PHCS network facilities is critical! I’ve set up a document for our family with urgent care, emergency room, family practice, and specialty practices that are listed in the network. I’m crossing my fingers that the billing department of these facilities aren’t caught off guard. Just writing this article is semi-depressing because it’s based on the fact of life that the people I love the most are going to be ill someday. As I wrote in previous posts, I’m using the monthly savings to pad my HSA which will help offset any unforeseen expenses. My personal anecdote is only half-written. What about you? Do you have stories or experiences with medical cost sharing like Medi-Share? 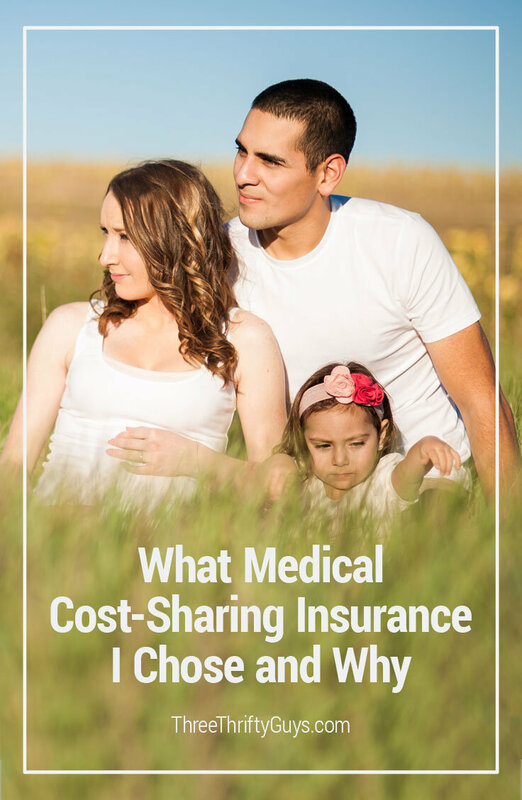 Part 1: What is Medical Cost Sharing Health Insurance and is it a Good Alternative? TTG may receive a commission if you were to sign-up with Medi-Share, but this is no extra cost to you. We only recommend products or services that we have experience with or first-hand knowledge about. Hi Matthew, thank you for taking the time to write up a review! Well done! Let us know if we can be of any help. We do strive to serve our members with excellence and come alongside you in your time of need.